I recently got Juvederm for the first time and while I was there I got my botox freshened up. I’ve been getting botox for about 6 years now, but had never tried fillers before. For the last year or so, I’ve been noticing that my nasolabial folds are getting deeper (that sounds dirty, doesn’t it? they need another name — and not marionette lines!). My botox doctor had a half price special on Juvederm, so I decided to do it and I wanted to share my experience with filler & botox with you. Juvederm is a dermal filler made of hyaluronic acid which is a naturally occurring substance in our skin and connective tissue. HA on it’s own would be absorbed by our bodies pretty quickly, so they mix it with a smooth gel to create an injectable filler that’s used to plump areas of the face like the “puppet mouth” lines, the tear troughs, and the lips. Doctors use either a needle or a “micro-cannula” to inject the filler under the skin. The advantage to the micro-cannula is that it can be done with fewer needle punctures and causes less trauma (bruising). There are lots of fillers from HA to collagen to your own fat, but I chose Juvederm because studies have shown that in addition to plumping, it helps the body create more collagen where it’s injected. After the age of 30, our bodies make 1% less collagen per year, so by the time your my age (51) you’re making 21% less collagen… Yikes! This Juvederm is supposed to last anywhere from 4 months up to a year, and where this is my first time, I don’t know how long it’ll last on me. Botox is a bottulism toxin that’s injected directly into the muscles of the face to paralyze the muscles. Once the muscles are paralyzed, the skin on the surface relaxes taking the wrinkles with it. Botox usually lasts from 3-6 months, but mine only lasts about 10-12 weeks because my metabolism is so fast. Juvederm usually costs around $625 per syringe so I paid about $300 for the procedure. He also had a deal on botox for $10 per unit, which he allowed me to use as well. The visit took about an hour since I had both done. In order to minimize the risk of bruising, stop taking any non-medically necessary blood thinners a week before you go. That includes aspirin, tylenol, aleve, advil, fish oil, & vitamin e. And, don’t drink the night before. I also read that pineapple can help to prevent bruising, so eat pineapple the day before. . . of course I forgot to do all that so I had 4 bruises afterward! Also, I bring some makeup along to touch up my face after because I get red welts from the botox on my sensitive forehead. At the doctor’s office, you’ll fill out a number of forms that explain all the bad things that can happen with procedures like these. For example, the botox can migrate and cause some paralysis around the eyes, there’s risk of infection from the injection etc. Reading all the disclaimers makes me want to run screaming from the office, but I sign away and hope for the best! First the doctor swabs the areas with alcohol to remove any makeup and/or germs. I’ve had my botox done with and without numbing and I don’t find it to matter too much either way. It does hurt a bit and makes my eyes water, but it’s over quickly and I just yoga breathe through it. Juvederm is more painful so the doctor applies a topical numbing gel and ices the area before injecting and the Juvederm also contains some lidocane. To do my 11’s (the vertical wrinkles between my eyebrows) and a strip of my forehead directly above the 11’s, my doctor does 8-10 needle pokes and uses 35 units of botox. For my marionette lines, he wanted to use 2 syringes of Juvederm, but since it’s my first time, I didn’t want to go overboard so I had him just do 1. He did 3 spots on the left and 2 on the right. Some people are able to get these procedures done on their lunch hour because they don’t have any swelling or redness, but not me. . . I look pretty messed up afterward, like I’ve just been attacked by a hive of angry bees! This is why I recommend bringing some makeup along. My doctor recommended Arnica Montana to help with any bruising, so I stopped at CVS and picked up a tube of ArniCare Cream. I applied it 3 times a day and it helped the bruises to heal up in about half the time (they usually last 2 weeks, but using Arnica they were gone in 7 days). In the mean time, I tried every concealer and makeup combination in my arsenal to cover them without much luck until I used Smashbox PhotoFinish Eyelid Primer, Armani Master Corrector in Color #2, and Bare Minerals Mineral Veil setting powder. I applied each in alternating super-thin layers until I had the bruise covered, then set it with a light dusting of powder. This method lasted all day and really corrected the purple and green tones. It takes about 2 weeks to see the full effects of the Juvederm and Botox, here’s a side by side before and after now that it’s been 2 weeks. I’m happy with the results, and so glad I only let him put in one syringe of Juvederm! I really don’t want to look like I’m full of filler, or be too paralyzed. The good thing about Juvederm is that it’s reversible, so if you get a result you don’t like, they can shoot something in there that will dissolve the filler. I’ll let you know in a future post how long it lasted. Now I just need to find a non-invasive procedure for the under eye wrinkles and I’ll be all set! 73 Responses to "My Experience With Filler (Juvederm) & Botox"
I hope they gave you the forms to read BEFORE the procedure! Happy it all went well for you! Thanks for your post and pictures, Angie. You look wonderful. The only comment I have is that I really wish your “before” and “after” had been taken in the same lighting- it frustrates me when pre and post procedure pictures are so differently lighted. That leaves no real way to accurately assess the change. Can someone advise me. I went in a week ago and had dysport and restalyne done. First time for fillers and I wanted them for my under eyes where I’ve noticed lots of wrinkles. I brushed very badly and have no noticeable results from the restalyne. She only used 0.4 cc of the syringe which to me is disappointing. I’m supposed to go in next week for correction. Will I have to pay for this? Thank you for such detailed information on botox and juvederm . I noticed you mentioned in a video that you no longer use the juverderm in the nasolabial area. Can you share why you longer use it and did it wear off evenly. I only got Juvederm once and I was happy with the amount I got, how it looked and how it wore off. But I don’t particularly like the over-filled look people sometimes get, so I wasn’t keen on doing it often. Since then they came out with Voluma which is another filler that’s used higher up in the cheeks. I got that done the next year and liked it much better because I felt it lifted from above rather than filling in the folds. It lasted almost 2 years and in that time the Retin-A I also use started making changes in the firmness of my skin so I no longer feel I need any fillers. So you use the Voluma and Retina A and thats It? What retin A are you using or face products? I am 45 and never did anything to my face. i do not wear sunscreen because i hate it but i haven’t sat in sun much despite being in warm climate. so I am fairly unwrinkled and look about 39-40. I am terrified of botox because of how weird many women look especially overdone forehead. Fillers seem okay if you don’t go crazy but there too, people look oddly bloated. How do I achieve natural result? you look amazing not puffy or paralyzed emotion. what doses do you use if i may ask? I just had my first treatment at 55 of Juviderm and Botox. I am so satisfied. It was 4 days ago; no bruising; no swelling at all. I am going back in two weeks and wanted to know does it really take 2 weeks to see the full affect. I still have some smile lines on the sides of my mouth that I want to get rid of and I am hoping that they will disappear! If not, I believe she can add on my two week visit. Love the way your eyebrows turned out in the before and after shots! It really picked them back up. I’ve been thinking of getting mine done as well. Hi Angie, great informative post. Can you recommend your cosmetic derm that did you injections? I’m in the Boston area too. Thanks! Sure, I had these injections done by Dr. Christian Ford in Cohassett. I also go to Dr. Joseph Russo’s office in Newton for injectables. I was just wondering who your doctor was? I was hoping to find a good doctor in Brisbane to do Juvederm for marionette lines. You look great Angie! Did you find one in Brisbane Joanne? I’m interested and also how much did it cost? Hi! Has anyone ever tried a light to mild chemical peel for under eye wrinkles? I had lower lid eye surgery a year ago to get rid of bags, and am happy with the results. But the wrinkles remain when I smile. A few days ago, I took a risk and had 2 units of dysport injected into my lower lids, and while it hasn’t made the wrinkles worse, it hasn’t helped at also far. I’m not up for lasers right now… Ive read such conflicting accounts of whether a chemical peel can help with under eye wrinkles. I’m 42, and have a fair complexion. Any insight would help! It can take up to 2 weeks for Dysport to take effect, especially if it’s the first time you’ve gotten it. You should be seeing good results in a few more days. I was talking to my dermatologist a few days ago about chemical peels and she said it’s hard to control the depth/strength of the peel so she doesn’t recommend it for under the eyes. I recently had fillers and the next day my face became swollen. I had to go to work and it was embarrassing for me. It has since gone down, but I think I need a little more on my check up visit. Have you ever had this problem. The swelling was quit bad and not just a mild swelling. Also Botox doesn’t seem to get rid of my 11’s and no matter how much Botox is injected I can still frown a little. The rest of my forehead seems fine though. You look fabulous in BOTH pics, honestly! I can’t really see your marionette lines in the before pic, or your 11s. I’ve had 11s for years..people still say I don’t look my age (I’m 48), but those marionette lines are hereditary and I am starting to notice them coming in, and need to stop that fast. I’ve been looking into facial exercises and massages that might help. Also, I use retin-A and it works wonders. Thanks so much for the info Angie. Been doing Botox for years today I’m trying out juvederm for the first time. So excited and nervous. Def worried about bruising but I’ll get arnica for sure. Hi! Just curious if you experienced a change in your smile with the juvederm? I’ve had 1 unit injected and my face when in smile looks off and plump, as if I gained weight. I didn’t notice any change to my smile when I had Juvederm. If you really don’t like yours, you can have it dissolved with another injectable. Yes, Juvederm is thicker than botox so it’s a bigger needle and it can hurt, but your doctor can numb the area first with topical lidocaine or ice and also, the Juvederm contains a numbing agent so the pain is brief. You are correct -it IS a whole different animal but worth it in my opinion! If I had known I wouldn’t have done it so I’m glad that I didn’t know .No pain no gain as they say ! I am almost 62 years old and had Juviderm for the first time yesterday. My dentist did the procedure. He used a topical numbing agent then numbed, the inside areas of my mouth that were in the areas that would be injected. I didn’t feel a thing, except in a couple of spots where the anesthesia was wearing off, then only the tiniest of pricks. Much easier than I expected. Why woulx a dentistbe doing face work?? I’ve had Botox and Juvéderm done by my dentist and my plastic surgeon… hands down my dentist was better. I was amazed how much better the results were and had absolutely no bruising. About how much was the average filler..mine was 1000 per unit..I look great but have heard some people get it much cheaper…whole face for 300..think that’s too cheap, no telling what you will look like…Botox was 11 per injection…only problem I had was redo on one cheek, and I had a terrible bag under one eye which has subsided..
Where I live, Juvederm is sold by the syringe and it’s around $600 per. Most people will put 1-2 syringes in their naso-labial folds. Botox is sold by the unit and it’s anywhere from $10-$15 per unit. The average cost to do the 11s is between $350 and $475. Why didn’t you get Voluma? It lasts longer doesn’t it? I just got my very first treatment yesterday of Voluma in my cheek hollows. It should last up to 2 years. It looks amazing; like I got a good night’s sleep. I have one small bruise on my right cheek hollow. I have very few wrinkles, so I haven’t gotten any botox. So, how long did the Juvederm last? I’d say it lasted about 6-8 months. You were beautiful before and you are still beautiful after. Thanks so much for sharing. I just came back from seeing my aesthetician and asked about Juvederm for the same problem areas you had. This has been a very sensitive and self conscious issue for me since I feel that I don’t look attractive any more even though my husband and son keep on telling me that I am beautiful (I think it is just to make me feel good). I just turned 53 last month and thought I would do this for my birthday but I have been skeptical about it and just put it off. Now that I read your experience I am going to make this appointment right after posting this. Thank you so much!!!! Aw, I just hate to hear you feeling so down about yourself. . . I’m sure your hubs and son are telling you the truth. We’re our own worst critics and see things that no one else does, but if the Juvederm will help, then why not go for it!?! I am so happy to tell you that I had the Juvederm and Botox done at the same time, the tired look on my face is gone! Hardly any bruising, I used the Arnicare cream and the pellets. I am very happy with the results so thanks again for sharing, you helped me get the courage to have this procedure done. I just came across your site while trying to find some information on fillers. I have had restalyne and or radiesse a few times (2 – 3 syringes each time) with the most recent being just 5 months ago and the results now seem to have disappeared. My experienced injector says it’s because I am post menopausal and on Tamoxifen causing my body to to absorb it fast. I had never heard of this & can’t find anything to validate that information. I am a 56 year old breast cancer survivor. Any thoughts or ideas? Hi Kacey~ I have never heard of that. It could just be that you have a quick metabolism and absorb the product more quickly than most. Thank you for sharing your pictures. I’m 46 and have been using botox for years, but just tried juvederm ultra plus two days ago. I use a friend who is a nurse and owns the medi spa that I use. Icing and using arnica gel or cream really does help. Ice for up to 6 hours afterwards also, don’t add fish oil back in for three days after the treatments. Do you go to a Dermatologist or a cosmetic surgeon to get your botox and filler? Do you mind me asking how old you are Angie? I think you look great before having any of the liquid face done so I am just curious. I’m 52, but I was only 51 in this post! I know this post is a couple years old now but I just found it whilst searching for info on fillers… I clicked on the article after seeing your pics in an image search for before and after photos, because I thought you were closer to my age (I’m 36) and wanted to see some results on women in the 35-40 age range. Daaayum girl, you look good! Just sayin! Have you tried the AngelLift Dermastrips? Try Leichner Camera Clear foundation it’s quite cheap. years now and have just loved it. Everyone asks if I’ve had work done because I look good for my age and I tell them only a minimal amount of botox. When I have the grand babies out, people think that they are mine. Lately though, after going through a painful 7 year divorce….I felt like the folds (probably from so much crying…I’ll blame it on the ex) lol I felt I should consider a little Juvederm. That is how I found you. Even though I have worked in the industry, I was a little nervous of messing with my face too much. My sons and new man kept saying not to do anything, they loved my look. After watching your video, I knew I just had to try it. I just got back from my dermatologist and OMG! I could not be happier. I love it! It looks like me at 43! So happy! He used the cannula and gave me 2 vials which was just enough. I told him everything I had learned from you about sleeping on the back, Arnica, etc. and he said you are exactly right. He even wanted to check out you website because you made me feel at ease about getting it done. I just had to write and thank you. You are a beautiful woman and so insightful. I also ordered the Timeless serum and I am loving it. The Skin Ceuticals which I’ve used is $165.00 up here. So I was very happy to try it. I will keep following your site for new, helpful ideas. The nurse today gets all that we get and she added the Fraxel Laser Re-surfacing. She had to be off work for 2 weeks….but wow. Then she gets Juverderm and Botox after the laser treatment healing period. Gorgeous skin. I grew up on the beaches of South Carolina and have a bit of sun damage…..may consider this one day. Would you ever try it? I wasn’t a big fan of IPL either. It’s important to look and feel as great as you can at any age. I love that you are helping women with that. Cheers! I love the Juverderm. OMG your post made me cry..men are such asses at times and the men in my life have aged me as well…gonna get juvederm soon..kind of scared of the pain though.. laugh lines should be called sorrow lines. We need to learn to love ourselves and do what’s best for us ladies! Thanks for posting pics! You look great! I had my juvederm using micro-cannula instead of needle first time yesterday. No brusing, yay, but do have a couple of red welt areas on each cheek. Thanks for sharing and it took about a week to go down? Hi Angie, I love your videos. Thanks for all the tips. I’d appreciate your advice. I’m 50, and recently had Botox and a filler injected between m eyebrows. Unfortunately, it didn’t take as well as I think it should have. It was an $800 investment. I still have movement and creases. What should I do? Insist on getting part of money back? Should I ask for more Botox? I can feel that it partially worked but I wanted it to be completely smooth. Any advice would be greatly appreciated. Wow–you look great in that ‘after’ photo! Any thoughts on what you might one might do for under the eyes (bags and wrinkles)? I’ve been thinking about laser or a filler, but want to be very careful. Would love you hear what you think about the best way to handle that. I’m 49, by the way. Thanks! I have used Retin A with decent results, and I have my own professional diamond tipped microdermabrasion machine, in which I do my own microdermabrasion. I refused to let any doctor inject ANYTHING into me, as it’s not natural and is foreign material. So I rely on other things. I’m a few years older and I have real good skin. When I looked at my face, I saw hardly any wrinkles, but wondered why I looked older. It took me a while to figure it out, but with the help of a fellow activist and anti-aging enthusiast, I found out that our cranial and facial bones move inward as we age, giving us that sunken in, flat faced and collapsed mouth and palate (maxilla bone). Surgery can not fix that particular aging look, and no matter how many laser treatments, chemical peels or fillers one has, it won’t change it back. However, it CAN be changed via endo nasal balloon therapy called Neurocranial Restructuring (NCR) or EndoNasal Cranial Correction. NCR is a cumulative treatment process involving controlled release of the connective tissue tension to unwind the body and return it toward its original design. NCR utilizes careful analysis of the body’s proprioception (patterns of balance) to determine the precise areas of the skull needing to be unlocked during each day’s treatment. By moving the target bone called the sphenoid bone, all the other bones follow and fall into place. It takes several sessions, with results easily seen after the first 4-day session. This over time, moves the face forward for a more 3-D appearance, and improved symmetry. It’s not painful, but feels like a chiropractic adjustment inside your head, and water up the nose for like two seconds and then it’s done. There is NO downtime, scarring, etc…, but one has to take it easy and not do heavy contact sports for at least a month after each session, nor any other treatments that could jar the head. If you would like to see some of the doctors, chiropractors, physical therapists, and naturopaths that do this cranial work, look up Dr. John Lieurance, DC in Sarasota, FL, Dr. Hillary Lampers, ND in Snohomish, WA, and Dr. Jillian Sarno N.D. from North Carolina and look at their faces. This NCR has given me a non-surgical face lift, and it was what I needed to get rid of that aging sunken in collapsed look. I also do Carole Maggio’s Facercise, because the face needs exercise just like the body. Also, some of the sagging in faces are due to sagging fat pads whose ligaments are lax. For those, we use several topical and internal supplementation. Since we are what we eat, I’ll touch on diet and supplementation. I also was exposed to Dr. Weston Price’s work and his observations that cranial structure changes based on environmental influences. It seems that we are all suffering from a inward collapse of our skull structure. This is the same facial collapse and especially palatal collapse that I’m seeing a lot of on middle aged folks, even though they still have most of their teeth. So for diet and supplementation, follow Weston’s Price’s work. His site is online. I use his recommendations of Organic Raw Butter Oil (Ghee) and Fermented Cod Liver Oil (GreenPasture.org carries those). I also use a good colloidal liquid mineral supplement. Copper, selenium and tin are known for skin tightening and Copper for restoring natural hair color. Vitamin C, as in sodium ascorbate is great for rebuilding collagen, as you already know. I also use organic silica (G5 from Silicum Labs), which has more than just skin benefits. it helps with rebuilding joints, ligaments, bones, teeth, hair, nails and is just a fantastic addition to any internal supplementation. Last, but not least is Biocell Type II collagen, which I get in liquid form in a product called Jusuru. You can find that on eBay. Since the Fukushima poisoning of the Pacific Ocean, we had to drop Salmon, which is great for skin. So in order to get all those Omega 3’s, 6’s, and 9’s in proper ratios, we use a black seed oil (black cumin or Nigella Sativa) product called Rain Soul. It’s taken internally, but can be used topically, as well. Topical stuff is Retin A, in the same 0.05 strength, G-5 Organic silica gel by Silicum Labs, I use The Health Wyze Colloidal Copper Lotion, but mostly on legs, lower arms, hands, and joint areas. It tends to break me out, so I use it sparingly on the face. I also use the Alpha Lipoic by Ultra Aesthetics, which I buy at our local organic health food store. 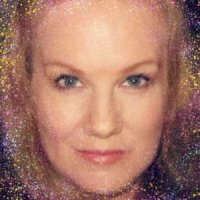 I still may do a pro-fractional Co2 lasering treatment just for an extra tightening and overall smoothness, but I’ve been able to go without base makeup for several years now and I’m 56 years old. Other topical treatments include “massage cupping” perfected by Anita J. Shannon. I have my own set of massage cups and a manual vac therapy hand unit and it feels so good on the facial area to stimulate blood and lymph flow. Something else, I have yet to try, but have seen results in other folks is facial acupuncture by Dr. Anna Baker of Sarasota, FL. Look up Faces by Dr Anna on Google, and you’ll find her. She’s the only one that does it by a particular protocol. If I get to Florida, I’ll have it done. This is my 56 year old face with no injected fillers, only supplementation, topical treatments, NCR, facial exercise, microdermabrasion and massage cupping. May be a dumb question but which is which in the before and after pics? I love your website and so confused on skin care i don’t know where to start, thinking of getting clarisonic mia 2 to start then talk to dermatologist for suggestions for care of skin, there is so much information and products that I am at a loss on what to start with, I am 50 also and don’t have allot of cash to spend on cosmetic procedures I have kids to put thru college but I want to take care of me also, love your info and love listening to you your a great help for us older woman keep on making videos and suggestions help! Hi Jenn- I read your blog too!! I was talking to my doctor about the crepey under eye thing and he said that laser skin rejuvenation is the way to go. That is a bit of an investment but it’s on my list of to- do’s. I will do the face, neck and upper chest when I do it. I had under eye filler last week for the 2nd time and while I hate the big bruise under my right eye (my left eye suffered virtually no bruising?) I do enjoy that I don’t have the shadow’s created by the hollows. Do your research and look for the most experienced injector you can find that has done a number of patients in the under eye area. That really makes the difference. I have had Radiesse and Juvederm fillers twice now along with Botox. I am 61- first treatment at 60. I have been so pleased with the results. The first time my doctor used the cannula. I had no bruising! However, I did have some white spots where you could see the filler! I had minimal bruising with needle. technique. I did discontinue ibuprofen and vitamins. One other interesting thing- they used the filler under my eyes only ( filled in that sunken look I had developed) I think one eye looks slightly less sunken than the other. It was a good experience and I will be going back. Thanks for your great site, Angie. I eagerly await your posts and love your advice and your honest , open manner. You are a beautiful person! It looks absolutely gorgeous (and natural). I am also a fan of both, although a newby to the Juve. I’m up for anything that works (short of a scalpel.) Also, I wanted to mention that I’m on day 24 of Saw Palmetto, and not one new zit! 160mg twice a day. GNC (Standardized) Saw Palmetto. It’s been a miracle. Thanks for all your wonderful updates, Angie. How do you use the tape? What kind of tape? Any ideas for our necks? I use botox regularly and have really minimal bruising. I just used filler for the 2nd time and holy cow! I get it in my tear trough area and while my left side has minimal bruising that I can easily cover, my right side looks like I took a solid punch. I mean it is dark, dark purple/red. I will bear our 2nd polar vortex and run to CVS to get the cream that you mentioned. I take an omega 3 supplement and you can bet that next time I do filler I will stop for a week ahead of time. I am thinking of doing my lips but if the bruising is half as bad as the eyes I will stick to lip liner. I do use fillers ever so often, more for my marionette lines. I do the 11’s every once in a great while, but I’ve been able to reverse with tape! It’s the same concept as frownies, but I cut my own tape and place it where I need it. I also had gotten fairly pronounced vertical lines in that area between the nose and the top lip. I put horizontal tape there. Those lines have become “Blurred Lines” (according to Robin Thicke And I can’t blame retin-a, as I’ve only been using it for 2 weeks. It does work! GREAT results! I’ve been getting botox for years and am seriously considering fillers. Although I want to get it under my eyes. I’ve used EVERYTHING under the sun for my crepey under eye skin and nothing seems to help. So maybe if I plump up the hollows, it will look better. So glad I found your blog…love your reviews & before/afters. Keep up the good work!